By placing an order with us you will be deemed to have read, understood and agreed to these Terms and Conditions. If you are unhappy with any aspect of these terms and conditions, then you should contact us on amco@maltanet.net before placing your order. These Terms and Conditions and your use of our web site are governed by Maltese law and you agree to submit to the non-exclusive jurisdiction of the Maltese court. This does not affect your non-excludable statutory rights. This website and our Terms and Conditions have been designed for use within Malta and under Maltese law. Whilst we are happy to consider requests for products and enquiries from outside the Malta, we give no warranty, express or implied, that the use of this website or the placing of any order through this website from outside Malta complies with any applicable non- Maltese laws or regulations. Accordingly, any products or promotions not permitted under your local law are not offered to you. A Contract between the customer and AMCO Cigars for the sale of our products will only exist once an order has been accepted, processed and despatched ( at which point the buyers credit/debit card will be charged for the value of the goods despatched). This does not affect the customer’s statutory rights. We would like to apologise to all our customers in the United States of America. Due to new rules imposed by our credit card acquirer, we will no longer be able to accept credit card payments for Cigars. Items which do not have any tobacco products in them can still be purchased. Thank you for your understanding on this matter. If you are not satisfied with any of our products you may return the item. We will be more than happy to offer you an exchange or, at our option, a refund provided that the products are returned complete, in perfect condition, unused, and with the original packaging. We advise customers to check their purchase on receipt of goods and let us know of any issues within 14 days from the delivery date. Please email us and retain the original packaging for our inspection to validate your claim. Both the product and the original packaging should be returned within 10 days of receipt along with a written claim stating exactly why the item has been returned. We will not replace either a damaged or faulty item until it has been returned. For all returns, except where the item is faulty, you will be required to arrange and pay for the return of the products to us. To return any products to us, please email us at amco@maltanet.net and we will send you a returns address. When returning items you are strongly recommended to obtain proof of posting. We cannot accept responsibility for parcels lost in transit. We will only refund or provide an exchange for the costs of postage where the item returned is faulty. We accept online payment in a secure environment by Visa credit card. All transactions are shown in € Euros. All prices quoted on this website are inclusive of postage and VAT. Any customs or import duties levied once the package reaches your destination country will be your responsibility as we have no control over these charges and cannot predict them. All our prices include postage. For all deliveries we use normal standard post. For deliveries within the EU this may take 10 working days. Deliveries outside the EU may take up to 20 working days. However an item is deemed as lost and can be resent after a double the normal postage period has passed. Amco Cigars does not seek to exclude or limit liability for death or personal injury arising from its negligence or that of its members agents directors or employees or for any fraudulent misrepresentation. To the fullest extent permitted by law and save as provided above, Amco Cigars shall not be liable to you by reason of any representation, or any implied warranty, condition or other term, or any duty at common law, or under the express terms of the contract, or in negligence for any indirect special or consequential loss or damage (including but not limited to loss of profit or loss of saving), costs, expenses or other claims for compensation whatsoever which arise out of or in connection with the use of this website, the supply of the products or their use or resale by you. While Amco cigars uses reasonable endeavours to ensure that the information on this website is accurate and up to date, it does not give any warranty as to its accuracy or completeness will not be responsible for any errors or omissions or for the results arising from the use of such information. 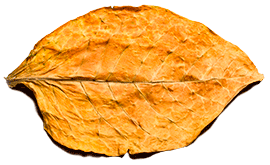 While Amco Cigars takes all reasonable steps to ensure a fast and reliable service, it does not guarantee that your use of this website will be interruption or error free and will not be responsible for any disruption, loss of or corruption of any material in transit, or loss of or corruption of material or data when downloaded onto any computer system. Copy, print or download extracts of the material on this website for the sole purpose of using this website or placing an order with Amco Cigars.